Guinness World Records Say That You Can Walk On The Clouds Here. Is It True? Does the idea of emerging from a billow of clouds between a beautiful, majestic gorge excite the butterflies inside you? Then why not set them free over an ensemble of clouds? 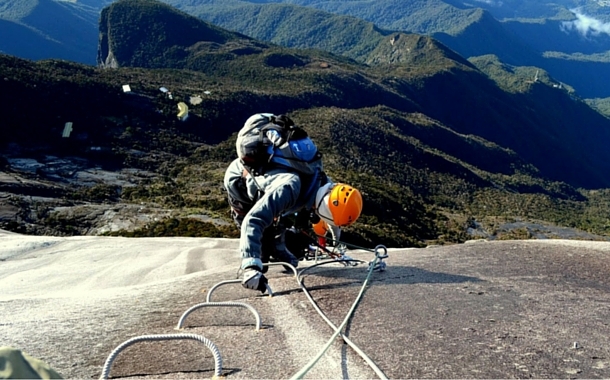 Mount Kinabalu in Malaysia holds the Guinness World Record for having the highest Via Ferrata climb in the world. Walk on the clouds, while you are possessed by the colossal valley down under and a necklace of mountains at the horizon. Nestled in the heart of Kinabalu National Park, lies the guardian angel of the Bornean region, Mount Kinabalu. It is the region’s tallest and most dominating structure draped in a frill of surreal white clouds. Here are some reasons why hiking Mt. 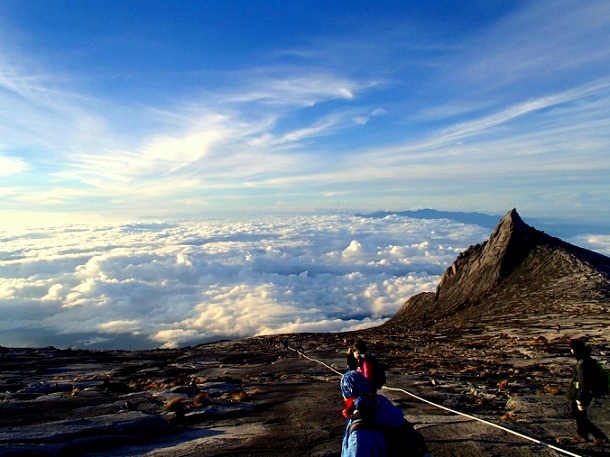 Kinabalu is a stairway that opens its doors to a beautiful heaven. Find out why this journey will bring you closer to clouds than any air ticket ever will! Mt. 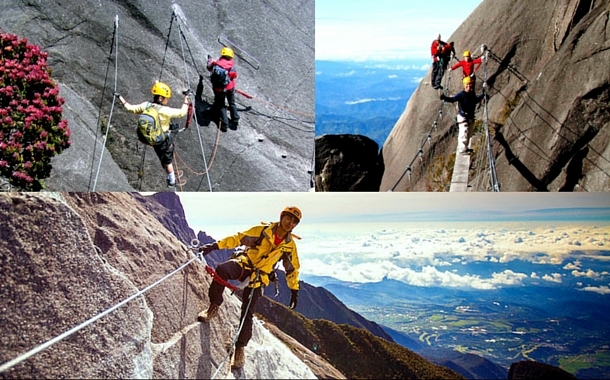 Kinabalu has the world’s highest Via Ferrata located at 3,776 metres. Via Ferrata is a protected mountain route made up with a series of iron rungs, rails and carved steps. A steel cable runs parallel to this set up so that it can aid you while you climb up the mountain. There are 2 routes available for climbers - Walk the Torq (beginners) and Low’s Peak Circuit (intermediate and advanced). While Walk the Torq is a day’s climb and gives you a nice orientation of mountaineering, Low’s Peak Circuit takes a good 12-15 hours to complete. The region is Malaysia’s first UNESCO World Heritage Site. 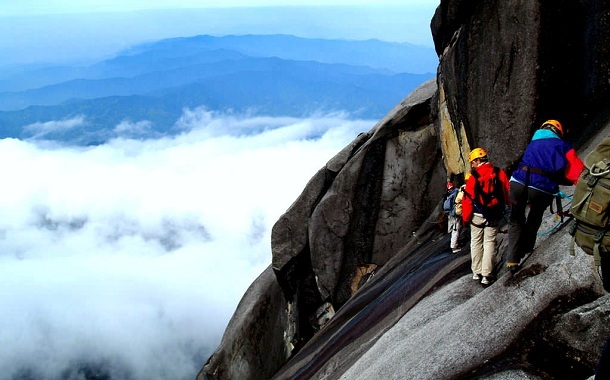 In the grove of trees and trail of rocky roads, lies Kinabalu National Park, off the western coast of Malaysian Borneo. Owing to its outstanding ecosystem, it garnered the status of Malaysia’s first ever World Heritage Site over a decade back. The adventure doesn’t stop at Via Ferrata. It only gets better from there on. No matter what trail you are on, you are in for a great adventure. The trail includes a combination of Monkey Bridge, Tyrolean Traverse and Balancing Beam. “Life is a daring adventure or nothing at all.” So here’s to more of them! 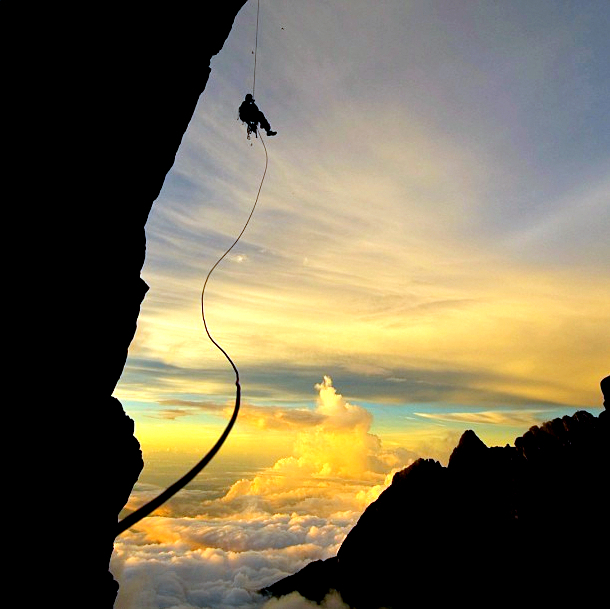 If you have an eternal thirst for adventure, you may even opt for rappelling and rock climbing. You can choose from a range of adventure-based activities to challenge your endurance levels. Mountains are calling, and you must go - because there’s no better feeling than submerging yourself in a surreal swell of clouds. Behind every climb there’s a pang of pain and a bout of exertion, yet a summit soar with thousand splendid smiles. Experience an astronomical view of the world, not because of the altitude you reach, but because of the attitude that these almighty mountains preach. Check out our Malaysia tour packages for more such exciting stuff!